Home » The Law & You » I Am a Victim of Fraud. How Do I Get My Money Back? I Am a Victim of Fraud. How Do I Get My Money Back? A viewer just noticed fraudulent activity going on in his checking account. Is there anything he can do to get his money back? 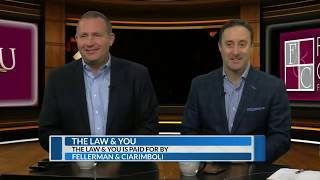 Attorneys Greg Fellerman and Ed Ciarimboli know what to do.